I started this blog as a personal goal to try better my skills in VMware and Microsoft technologies and try give back to the community from which I have learnt and gained so much. 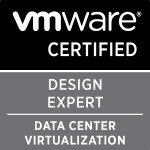 I’m pleased to say that I think I have accomplished that as looking at my postings a year ago to ones I have done recently I think my blog writing and technical skills are much much better,I’ve become a VCP4 and VTSP 4 and strengthened my knowledge on almost all the VMware technologies and practices. Most pleasing to me is that two of my top 3 most read postings are my VCP4 Study Resources Part 1 and Part 2 which is very gratifying to know that I’ve possibly helped people better prepare for their VCP4 exam. Also my VCAP DCA & DCD Study Resources page is already receiving a growing number of views and been linked to in one of the VCAP-DCA brownbag’s (vFail BrownBag Follow-Up) as a resource to use/look at in your preparations for the VCAP exams and so is on it’s way to being another most read posting. Hopefully next year this time I will be looking back at the over 13 thousand views to my blog as a small number compared to the amount I will have received and have made the Top 25 Virtualisation Blogs and become a vExpert too if John and the community feel I/my blog are worthy . A big thanks to all the people who have re-tweeted links to my blog postings,linked to my blog in their own blogs and for everyone who has left a comment saying how much a posting has helped them. For anyone thinking of starting their own blog I would highly recommend it but first read Scott Lowe’s Blogging for the Right Reasons and know it is a labour of love and something you should do for the right reasons. Categories: Social, Virtualisation | Tags: blogging, Happy Birthday, VCAP, VCP4 | Permalink. 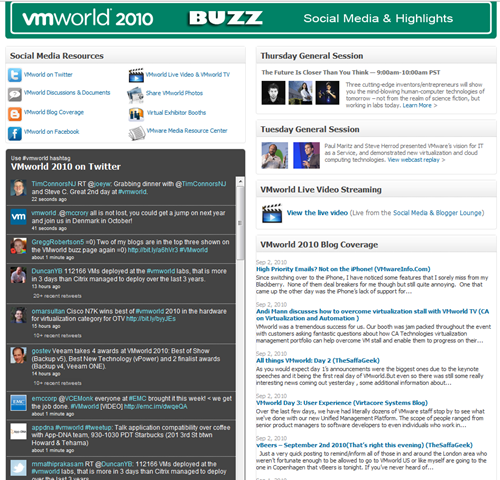 As you can imagine the virtual community is still abuzz after all the news of VMworld US. So obviously All Things Virtual 17 is heavily weighted to this news and the additional information coming out after it. First are number of blogs that are still coming out about VMware vCloud Director, with all the talk of everything moving to the cloud the release of the product has caught the attention of a lot of people. So because of this everyone remotely related to this field for example everyone in virtualisation are now trying to get their knowledge up to scratch on the product in preparation for their boss asking if the product can be deployed,how it all works and when will it be ready in the company. Hany Michael has done an amazing job of listing all the videos related to VCD on his blog here. it is quite staggering how many videos are already out for a product only fully released just over a week ago. Hany is also very well known for his Visio diagrams of any kind of processes in the VMware field (one of the reasons I’m sure that he was snatched up by VMware) and has done a very detailed and brilliant diagram all about The VMware vCloud Director Cell Architecture. Have a look through some of his diagrams and then you’ll understand why he’s well known for them. Aaron Delp has also done a very extensive link directory of all the links for VCD here. I’ve still got a large amount of the links and videos to get through but the lists from both Hany and Aaron are extremely helpful. Kendick Coleman and David Davis did a session at VMworld all about Free vSphere Tools. I’m looking forward to being able to view the session once it’s published on the VMworld website and if Kendrick can organise a flight and a hotel being able to attend it at VMworld Europe(if you want to sponsor him he’d be more than happy to hear from you via his site). He did a posting all about the session on his website as well as some serious name dropping about the rest of his activities and who he met each day :). 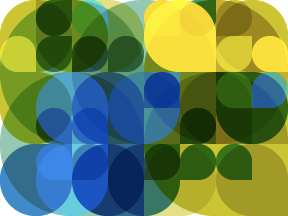 If you haven’t seen his free tools page have a look here, it’s got some amazing tools on it. David Davis also did a posting all about a survey he is doing all about the session and how he obviously wants you opinions to help him and hopefully Kendrick better their presentation and know what people like. CompuerWorld have also done a nice posting of Eight great virtual appliances for VMware, free for the downloading. One of the big open sessions of the week at VMworld was the Storage Super Heavyweight Challenge with Adam Carter from HP, Eric Schott from Dell, Vaughn Stewart from NetApp, and Chad Sakac from EMC. If you ever read or follow either Chad or Vaughn’s blogs you would know there is a very healthy competition and debate between Chad and Vaughn which I feel can only be a good thing as long as there is no FUD throwing. So this was a great way for the general public of VMworld to put questions to the panellists in a controlled manner. Chad blogged about it and put up the video here. As to only be fair and as to not be labelled biased(even though I am referring you to the video in the blog) Vaughn also blogged about it with the same video here. It’s a really interesting video and I feel everyone gave fair and precise answers and hopefully this healthy style of questioning can happen again next year. 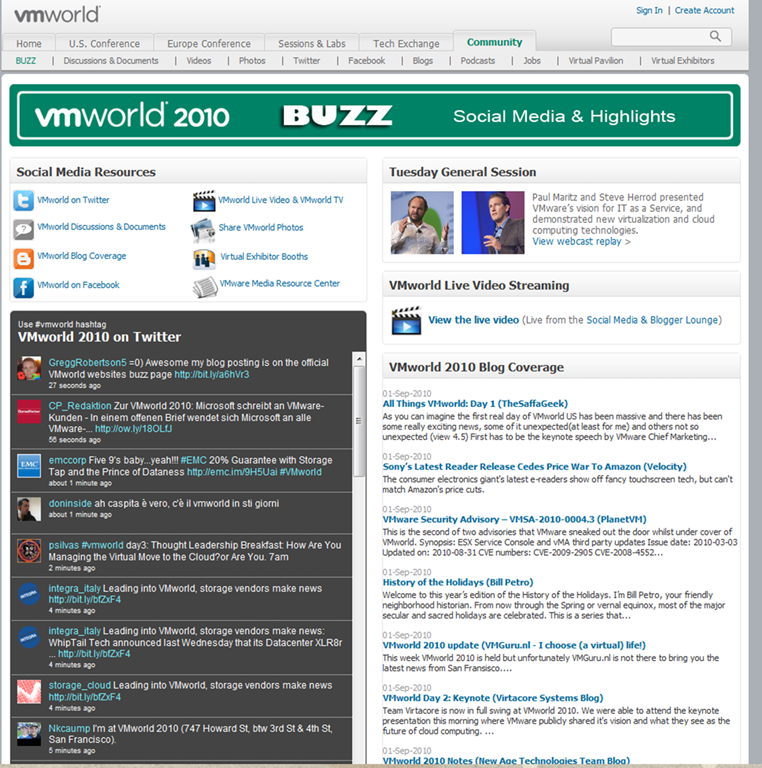 As of this morning VMware View 4.5 is now GA. You can download it from the VMware site here. If you are like me and haven’t been able to get your knowledge fully up to scratch on the product then as posted today by Mike Laverick(yes the same one who features in the storage heavyweights video) you can get his VMware View 4.5 Guide – Author’s Edition for a small donation to UNICEF. So get donating and downloading and as Mike says “When the full version is ready you will be welcome to contact me with your proof-of-purchase, and I will send you a private link where you can download the full PDF version at no additional charge”. Scott Lowe has posted all the vSphere4.1 links he was planning to use for his latest instalment of Mastering VMware vSphere which was sadly not picked up by the publishers. A great bit of resources if you are planning to write your VCP4 exam soon or if you need to update your knowledge like myself on the new values and features of vSphere 4.1. If you live in the south east of England like myself or are really keen to travel down to the south east then the announcement of the next London VMware user Group (VMUG) on Thursday the 28th of October will be of interest to you. Already Gabrie van Zanten of GabesVirtualWorld fame will be presenting. Categories: Virtualisation | Tags: free vSphere tools, london VMUG, VCP4, VMware vCloud Director, VMware View 4.5, VMworld, VMworld 2010, vSphere 4.1 | Permalink. It has been a crazy couple of weeks lately due to a data centre relocation I’ve been working on and due to this I haven’t had as much time to post new information and hence the delay of this next “instalment” of All Things Virtual. Firstly a massive thank you to Simon Long for adding my blog posting to his “Recommended Reads” section of his blog. It’s a true honour to be mentioned on his blog for something I posted. I would highly recommend looking through his recommended reads as he’s added some really great postings from some of the top blogs. Also a thank you to Troy Clavell on the VMware forums for linking back to my posting on the Active Directory Web Services encountered an error while reading the settings for the specified Active Directory Lightweight Directory Services instance error and solution. It’s been the most read posting on my blog for the past week because of his reference. Alessandro Perilli posted about VMware officially announcing the ESX end of life. So for those of you out there like myself who are still trying to perfect your PowerCLi,VMA and vCLI skills, we now have a date that those skills need to be perfected. I still don’t fully buy into the whole reason for the removal of the COS but no point moaning over something that has already been decided. Next is something Darren Woollard ,who I follow on twitter tweeted about, which is a list of all the VMware twitter accounts. There was quite a few mentioned that I wasn’t following. As I’ve said before I believe the amount of knowledge to be gained from following people and organisation related to your field is priceless and it has certainly helped me gain better knowledge of virtualisation products and practices. I’m on twitter at @greggrobertson5 or http://twitter.com/greggrobertson5 if you want to follow me. Scott Drummonds posting a very interesting article on the idea of Designing VMs with Performance SLAs. The article is a very good one and is one that will encourage a very good debate on the positives and negatives of using limits which is one of the techniques Scott mentions in his posting to allow for Performance SLA’s. Tom Howarth has posted all about the session himself and Cody Bunch are doing at VMworld this year and is asking for some questions in preparation for the sessions from the community. Adam Carter of HP,Vaughn Stewart of NetApp and Chad Sakac of EMC are three of his speakers so if you you can think of any I’m sure Tom will be very grateful for your help. Duncan Epping of yellow bricks fame posted all about the ability now with vSphere 4 using ADAM to store the roles and permissions to have a standby vCentre Server in case of a disaster. I’m definitely going to get one of these built up having had the experience of a virtual centre server going awry and having to rebuild it all. With the release of vSphere 4.1 one of the new features is memory management and compression. Gabrie van Zanten has posted all about this feature, how it all works and how it will bring benefits to your VMware environments. A must read! If you are planning to upgrade any of your machines to vSphere 4.1 then I would highly recommend looking through and watching the video from the KB article all about…you guessed it vSphere 4.1 upgrade pre-installation requirements and considerations. I love finding and watching these kinds of things as it always feels as if I’ve actually been shown and taught it from a mentor or work colleague like you would in your daily jobs knowledge transfer. Vladan Seget has posted all about the Best practices KB on how-to install ESX 4.1 and vCenter which is another brilliant bit of information and reference if you are installing ESX4.1 and vCentre. The Malaysia VMware communities has done a very interesting posting all about the VSI plug-in from EMC. The plug-in is a brilliant tool and is a very good example of the VAAI that ESX 4.1 is enabling storage vendors to create for people to utilise in their VMware environments. Chad Sakac has done a great YouTube video on vSphere4.1 and EMC VAAI capabilities. Richard Brambley has done a brilliant posting a while back all about what VAAI is and what it means for virtualisation here. Elasticsky have posted a very helpful video on YouTube on how to reset a forgotten or lost root password on vSphere 4. I have posted these steps before but the video is a very helpful addition to this if you ever have the problem. Scott Vessey has posted all about the Changes to VCP exam due to the vSphere 4.1 release.A number of people have been talking about if there are any changes to the vcp4 exams since the release of vSphere4.1 and Scott has answered it perfectly. Kendrick Coleman has done a brilliant resource page for all the resources you may need in your preparations for the VCAP DCA exam. I’m hoping to start building up my own list of resources that I’ll be using in my preparations for my VCAP exam/s once I get it under way :). Lastly is one for anyone going to a convention or conference this year who will get themselves one of the customary backpacks. As Kevin Houston posted, if you aren’t planning to actively use the backpack why not donate it to a local school and fill it with some basic supplies. Great idea Kevin! Categories: Certifications, Virtualisation | Tags: Active Directory Web Services encountered an error while reading the settings for the specified Active Directory Lightweight Directory Services instance, EMC, how to reset a forgotten or lost root password on vSphere 4, how-to install ESX 4.1 and vCentre, memory management and compression, standby vCentre Server, VCAP, VCP4, VMworld, vSphere 4.1 release | Permalink. Duncan Epping posted a very interesting article all about the the changes to the snapshot “delete all” mechanism. I still think they should change it to Commit All but it is a very good change that should allow better and faster committing of the data to the virtual machine. Chad Sakac aka VirtualGeek has posted all about thin provisioning and if you should do it in vsphere and or the disk array and the reasoning to his recommendations as well as a brief lesson on the differing formats of virtual disks and what theses choices will mean for you and your storage utilisation. David Davis of Trainsignal fame posted a very interesting video all about the new feature in vSphere 4.1 ,Windows Active Directory Authentication-the ability for ESX/ESXi servers to “join” a Windows Active Directory (AD) domain. The video is really good as you would expect from David’s in depth expertise in creating technical videos. also have a look through the site as David has posted up some really good videos and has put up the first vChat with Simon Seagrave from Techead. Chris Dearden has blogged all about the second volume of the Trainsignal vSphere Pro series. I actually have a set of these with my name on it at our main offices but haven’t been able to collect them due to work constraints, plain laziness in part and the person who has them for me being a very busy person himself. If these videos are anything like the first volume then i can’t wait to get my hands on them and better my knowledge especially as i plan to have assimilated as Chris said in his blog posting all the information into my head amongst many other resources before I attempt the vcap exam/s. Cody Bunch has started his infamous Brown Bags for the VCAP-DCA exams and the first one is today/tonight(depending on your time zones) I’ve made a few of Cody’s brown bags before and they are brilliant for asking your fellow administrators questions about things and covering the topics you are required to know to pass. Cody also does brown bags for the VCP4 exams so i would HIGHLY recommend getting yourself registered for them and watching some of the past ones if you are writing soon or looking to sit the VCAP-DCA exam at some point like myself. Well that’s it, I’m sure I’ve missed a few nuggets this past week but most of the news is obviously about 4.1 and I’ll leave that in the more capable hands of the people I mentioned in my blog posting. If you’re interested in working for EMC Consulting like myself and being a part of this ever strengthening arm of EMC, then drop me a message via the blog and I’ll more than happily pass your information onto our recruitment people. FYI: all of EMC Counting’s hiring is done through direct contact. We don’t use recruitment consultants, so don’t waste your or my time if you are one. Categories: Virtualisation | Tags: Brown Bag, EMC, EMC Consulting, Trainsignal, VCAP, VCAP-DCA, VCP4, VMware, vSphere 4.1 | Permalink.